I met Kermit yesterday at Raleigh Supercon 2018. No matter the stage of their voiceover career, beginning, apex, downslope (and everything in between), I don’t get excited or nervous meeting voice actors…especially around the ‘big names’ when others sometimes feel intimidated. I know they or I are just one step away from the other side of that coin (big career/average career). So when we get together or I meet one for the first time, it’s just like meeting an ‘average’ new person…because we are all average. A peer. At least that’s my attitude. So as is the case at most Comic-Cons or Super-Cons, there were lots of actors and voice actors, all at various stages of their careers. Many screen and voice actors participate in the Cons (there’s money to be made there, so good on them) but many of the voice actors are from the gaming or anime world, worlds that I am not very involved in. But let me tell you, the audiences for these actors are VERY involved and that has to be very satisfying for the actors (I know it would be for me). 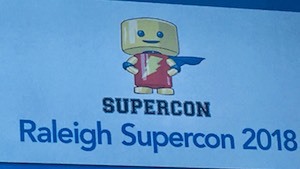 Prior to the Raleigh Supercon, I was speaking with my friend Kara Edwards, the very popular and talented Anime Voice Actor, who was telling me the names of her fellow Anime actors who were in Raleigh. However, I couldn’t get anywhere near their tables…the crowds were too big! Then, as I walked down celebrity row (my term, not the Con’s) I saw someone I knew of and wanted to talk with. 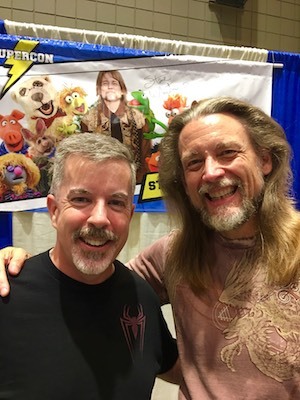 You might recall about a year ago I wrote a blog about Muppet puppeteer Steve Whitmire who, it had just been announced then, was fired by Disney as the puppeteer and voice of Kermit and had been let go from Muppets permanently. Well Steve was at the Comic-Con and was just setting up his area. I hemmed and hawed about whether to bother him, but I decided to talk with him. My goal was to let him know how badly I felt for him about the situation he left and that at various levels, we’ve all been there. It turned into a very nice private conversation that I’m sure won’t be memorable for him after such a busy weekend meeting strangers. It made me feel better, though, that I got to tell him personally. No matter whether you’re a screen actor, voice actor or puppeteer, this is a very emotionally draining business. Family and friends are nice during a bad spell, but sometimes it can be helpful to hear something supportive from people who fight similar battles (at various levels) everyday as well. Well, that was my thought anyway. Whether one acts on a stage, in front of a camera or behind a microphone, a performer is still a performer. Yet for as many years as I have been a voice-over performer, I can still be surprised by some of the talents of my peers. It reflects poorly on me that I guess I subconsciously pigeon-hole them in my mind as only a certain kind of performer. I need to stop doing that. 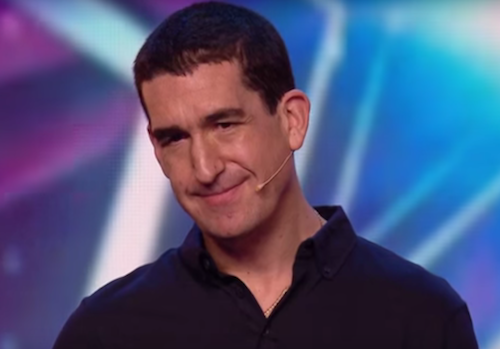 Case in point, I woke up this weekend to see on social media that my friend and fellow voice-over talent Darren Altman had gone and got himself on Britain’s Got Talent. As an impressionist. How terrific is that!!! What I found especially interesting was the fact that the impressions were based on a variety of UK voices, with whom I had little familiarity. But when you watch the audience and the judges, they were enthralled!!!! The other part I enjoyed was that Darren was FEATURED on the show. They didn’t just show the audition, they did behind the scenes, they taped him at home with his family and really gave him the star treatment. Not that I am intimately familiar with the details on such shows but I believe they make performers sign a non-disclosure agreement of sorts, which means Darren and his family couldn’t talk about him being on the show or how it turned out. That must have been a crazy secret to keep. But well worth the wait. As he states in the package below, he’d never done anything like this before. So a great congratulations to Darren on this very brave and very successful TV appearance. VO Atlanta 2016’s Voice-Over Agent Panel. L-R Peter K. O’Connell, audio’connell Voice-Over Talent (Moderator); Erik Sheppard, Voice Talent Productions; Jeffrey Umberger, Umberger Agency, Tanya Buchanan, Ta-Da Voiceworks; Marci Polzin, Artistic Talent; Susie De Santiago, De Santi Talent and Ralph Cooper, Capital Talent Agency. 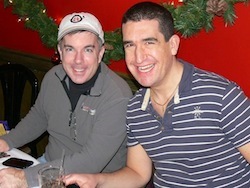 Photo Courtesy of Tom Dheere. 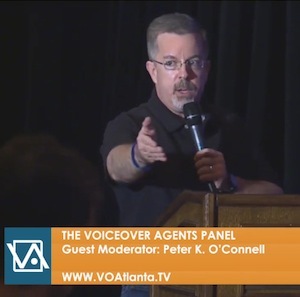 It was about :30 seconds between the time when I was asked to MC the Voice-Over Agent panel discussion at VO Atlanta 2016 and when I hit the stage and kicked off the session among a hotel ballroom full of people. And oh by the way, there was no agenda, no script and no panelist bios. Adrenaline? Nerves? Panic? There seriously wasn’t time to consider any of that. The audience didn’t know about the birth process I was zooming through, they just knew the baby was coming – they wanted to hear the panel. For all they knew, I was scheduled as host weeks before. Yes, I have moderated many panels and events over the years. 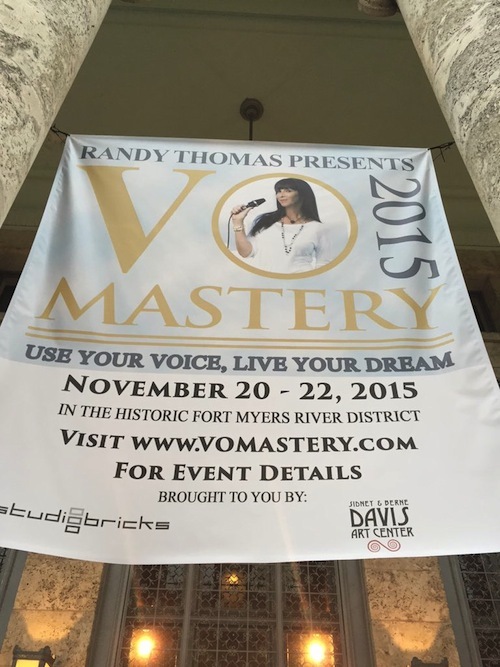 I’ve done tons of live announcing and a bunch of emcee and hosting work for trade shows, conferences and award shows. It’s something I enjoy doing and I’ve been lucky to get high marks (and paychecks) from clients for my work. Most importantly, with each of them I enjoyed lots of preparation, plenty of notes and a script. By the way, that’s not anybody’s fault. Most panel discussions I’ve done, a moderator crafts a series of questions to start things off and maybe to fall back on if the panel discussion lags…they rest of it often is pretty free-form discussion. So here’s the background on this special instance. I was a first time attendee at VO Atlanta. I was not there in any other capacity – not a host, teacher or janitor. The Voice-Over Agent panel was the second session of the morning on Saturday in the main ballroom. I started the day in this room because I had attended the previous panel session on voice-over marketing, featuring my smart friends including Celia Segal, Tom Dheere and Joe Cipriano. The agent panel was an important focus for me at the conference because there were some folks on the panel I wanted to meet. I was about to get one hell of an introduction to them. They included Ralph Cooper from Capital Talent Agency in Washington, D.C., Marci Polzin from Artistic Talent in Los Angeles and Susie De Santiago from DeSanti Talents, Inc., in Chicago. As my unexpected adventure progressed, I would find it very helpful that the other three voice-over agents on the panel were already my longtime voice-over partners/agents including Tanya Buchanan from Ta-Da Voiceworks in Toronto, Erik Sheppard from Voice Talent Productions in Austin and Jeffrey Umberger from Umberger Agency in Atlanta. We knew each other pretty well from various projects we’ve work on and I had a sense in this setting (as in every other instance we’d each worked together) they would have my back. (It turns out, I was right). It all started innocently enough. Prior to the event starting, I was standing off to the side of the stage, just talking to Tayna and Erik, when Jeffrey approached us to advise that he was not only a panelist but also the moderator. In passing, Jeffrey offered that he wished he was just a panelist. We all said something along the lines that he would great (which he would have been). I left the group so they could do whatever prep they needed to do and I took my seat near another voice-over friend Jackie Bales. We were talking about voice-over and people we both knew in the TV news business, where Jackie worked before going into voice-over full time. Suddenly, we both became aware that the panel was about 10 minutes late in starting. Spider-Man had his spidey sense. I have FaffCon-sense, which tells me when an event or program might be running in a small bump in the road (like not starting on time). That same sense also caused the trouble I got myself into here. I looked around and saw no VO Atlanta staff in the immediate vicinity (there was lots going on in other rooms at this particular time). I jumped up and over to the area the agents were. I said to Jeffrey that they needed to get up on stage. Please note: I was totally out of line saying anything like this, because it wasn’t my event or responsibility. Yet these were my friends and I was trying to help them and the event. Jeffrey said they were waiting on one more agent but that she was late and that they needed to get going. Being in “event” mode (again, not my place but it’s a fault I have) I said yes and I began to usher everyone up the stairs to the stage. It was on those stairs that I changed into “broadcast” mode. “Jeffrey, is there a script?” Peter asked. As I picked up the hand-held microphone at the moderator’s podium, Jeffrey slid in front of me the open page of the program which listed the names and company names of the panelists. That program and my cell phone were my tools for the next very live 80 minutes. As I discussed later in the evening with my friend and fellow voice talent (and accomplished broadcaster) Mike Cooper, live broadcast training comes in very handy during many of life’s unexpected moments. Without a doubt, that training served me well in this situation. Mind you, I haven’t been ‘on-air’ since 1986 but I have come to find out broadcast skills simply don’t leave you once you have them (see: riding a bicycle). I brought up the mic and just started to talk (never let them see you sweat, right), beginning with a welcome (‘what was this panel’s official name? Uh, make something up’) and then I presented a format for the session. I quietly hoped there wasn’t a real format for the event because I went all Houdini on them with the format of my choosing. Abracadabra! My mind was swirling as I spoke: ‘hmmm, I need to create actual questions!! Better yet, I need to stall for time so I can WRITE some questions’. Well, with no bios, I called an audible and asked each panelist to introduce themselves and their company and tell the audience about their background. ‘Good, they’re talking’ I thought to myself. Via quick math I decided if they each spoke for a minimum of :30 seconds, I should have about three minutes to write some questions that would allow agents and talents to help better understand each others perspective. That would be good, right?! It would make sense, wouldn’t it! Oh heavens, I hoped it would make sense! Yes, I know these word strings don’t make much sense to you, but I just needed to have word cues for the questions in my head. With these points I knew I could formulate something (somewhat) intelligent when the time came. Maybe intelligible would be more accurate. The rest of the session for me was a bit of blur, made completely awesome by the way all six panelists gelled so quickly with each other, continuing their own discussions without much prompting from me to keep the conversation going. To the audiences delight (and my relief) the time went by very quickly. People said nice things about the event afterwords, which I took as a passing grade, nothing more nothing less. And I aged about 5 years in 80 minutes. It was fun. Well, it’s fun NOW cause it’s over! 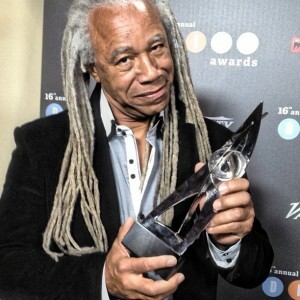 Congrats to Voice-Over Actor Dave Fennoy following his D.I.C.E. win as Outstanding Character Performer as Lee Everett in The Walking Dead. Probably best known for his recent work as the voice of HULU.COM, Dave’s promo work has also been heard on ABC, The WB, Fox, CBS, Showtime, Starz, ESPN, The Disney Channel and TV One. His commercial voice-over credits include Lexus, McDonalds, Corona Beer, KFC, Toyota, Chrysler, and ATT, Time Life Music R&B/Gospel and Southern Company. In addition to The Walking Dead, gamers enjoy Dave’s voice work on STARCRAFT II, Metal Gear, That’s So Raven, Ultimate Spiderman, Delta Force, Star Wars, Laura Croft Tomb Raider, and many others. 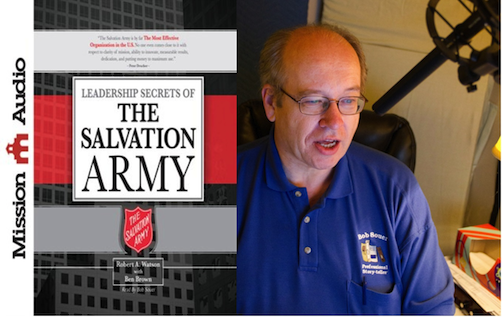 Dave’s narration credits include programs for National Geographic, Discovery Channel and Science Channel’s popular series, “When Earth Erupts”. Dave did a great interview a while back with my friend and fellow voice-over talent Andy Boyns…take a look.